Watched any good online videos lately? If you’re shopping for a new vehicle, chances are pretty good that you have – and that that video content will influence your next purchase, new or pre-owned. And, if you’re just starting your search, now would be the time to see what’s out there. Autotrader research shows the Internet is the most-used source for three-quarters of vehicle shoppers, that shoppers spent 70 percent of their time shopping online, and that half of new-car buyers and 58 percent of used-car buyers say online content is the most influential source leading to a dealer. A Google study says nearly 70 percent of car shoppers who used YouTube while buying a car were influenced by what they watched. So where do you find video content that will help you make your choice? Third-party sites such as Autotrader, Cars.com, Edmunds.com and KBB.com (Kelley Blue Book) are most popular among car shoppers, who spend about 60 percent of their online time there – more by used-car shoppers – followed by dealership sites around 16 percent and OEM (manufacturer) sites at 9 percent. Shoppers spend about 11 percent of their time searching online generally. Cars.com has posted more than 100 videos in the past year alone – more than 1,000 total – but you’ll have to scroll through the gallery to find the review you need. Autotrader offers more than two hundred videos such as a “Must Test Drive” series of 10, video overviews, reviews and debuts (such as those at the New York International Auto Show), and you can search the video gallery by brand to help narrow the focus. The Car Connection video bank includes nearly 500 videos, mostly overviews, which you can review in list or grid format, for vehicles going back several years. And it provides a search function for vehicle shoppers who don’t want to spend a lot of time browsing all those titles. Edmunds.com provides video reviews in 10 different vehicle categories, such, as sedan, truck and SUV, going back several years and more than 80 walkaround videos of 2016 models. Also on the site, shoppers can find comparison test videos, auto show videos, how-to videos, Ask Edmunds videos, and car-buying, car technology, dyno test and track test videos. KBB.com is the granddaddy of video resources with nearly 1,200 when we counted recently – more than 50 on Toyota alone, for example, which we found via the video search option. These include features such as “15 best family cars of 2015,” comparison tests, reviews and auto shows. We didn’t find some other popular auto-related websites as helpful, but you can see for yourself. Fiat Chrysler Automobiles, General Motors, Ford, Honda, Hyundai, Nissan, Toyota and other OEMs have YouTube channels with multiple videos – but, of course, they have predictable points of view. 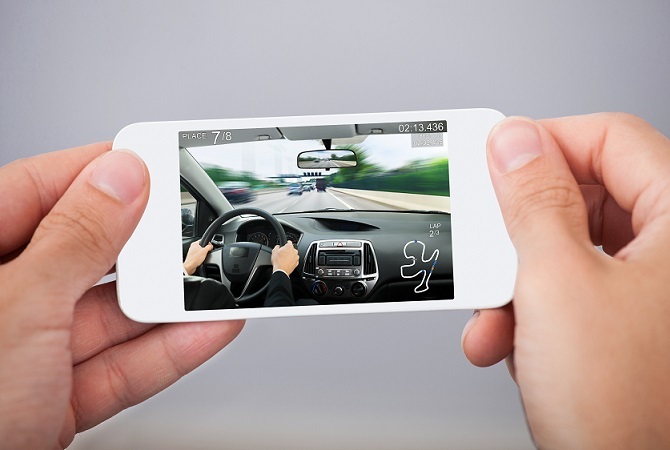 Dealerships, meanwhile, were all over the map with their video content. One franchised dealer we checked buried their videos at the bottom of general pages about individual models on the “reviews and comparisons page” with no reference to videos. Another dealer of the same manufacturer made it a little easier with videos at the top of model descriptions – under “research” – but still not obvious to a first-time visitor. A third dealership appeared to provide video with every vehicle in their inventory, including some that was not stock footage. In the end, the most efficient way to search for videos on a specific make and model just might be to join the 11 percent of shoppers Googling a preferred vehicle – including older models. You’re likely to find everything you need in just a few keystrokes.